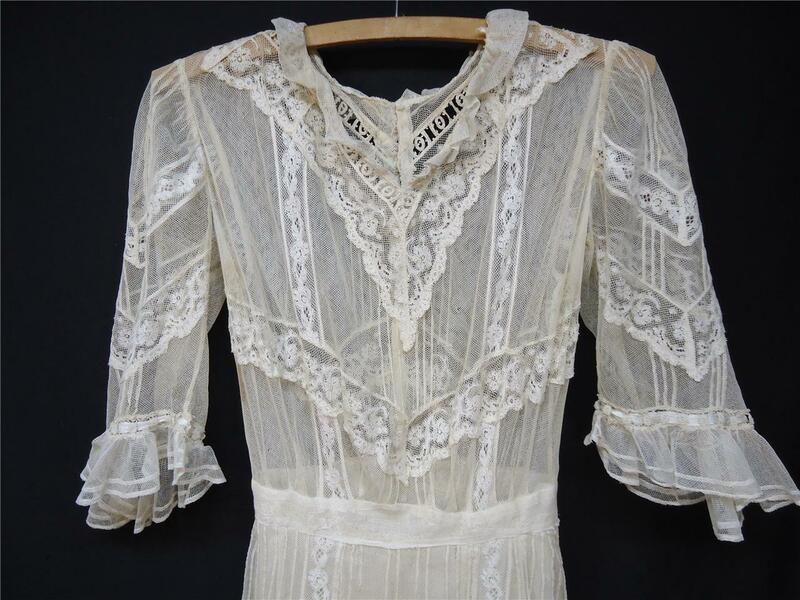 Up for auction is this Gorgeous Antique Limerick Lace Day Dress. 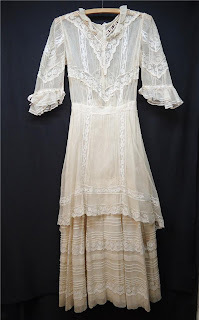 This dres is in remarkable condition considering its age. This has the ruffle v neck line with elbow length sleeves that are also ruffled on the ends. 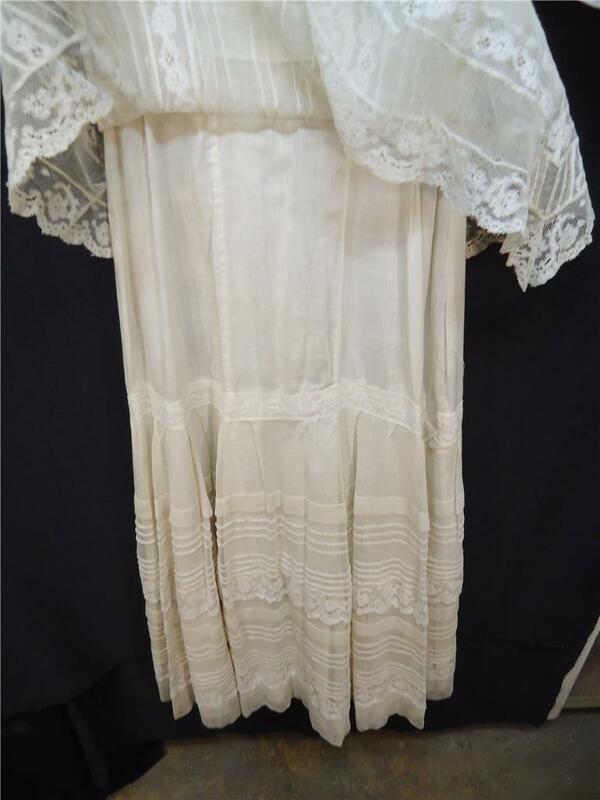 The end of sleeve has the draping effect which is so promient of this era. This has hook and eye closures down the back to the waist then it is a snap closure to the lowest hip area. The skirt are has a overlay of Limerick lace and ruffles. The whole skirt area is over a sewn in cotton underslirting. 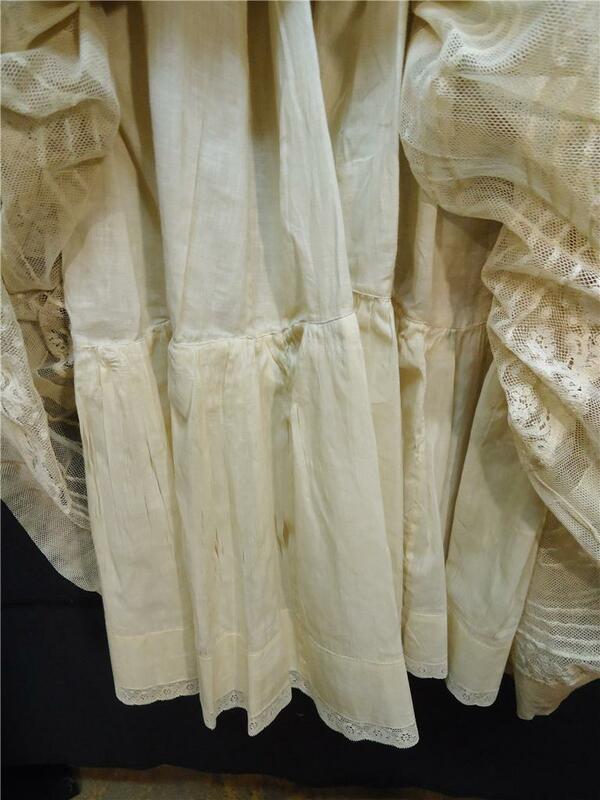 Now this underskirt has some material shredding which we will picture, which does not show unless the whole dresss is lifted up.. This dress has so much detail that I have tried to cover any damage but if there is any on the dress lace if would be mimimal and hard to see. This measures 50 " in length waist is 12" which is laying down flat sleeves are 17" at the longest point shoulder to shoulder is 14" bust area would be 30". 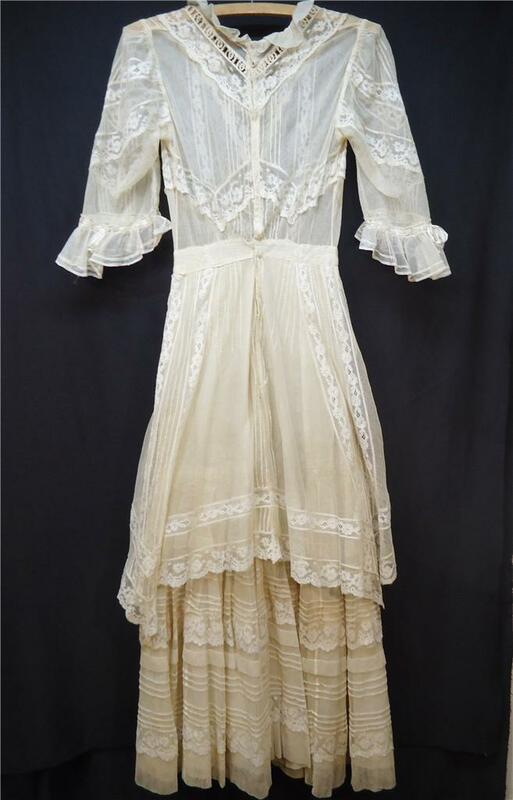 I hope I have described this antique dress well for it is a gorgeous item. 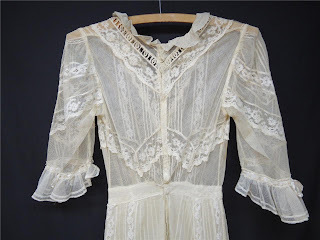 The neckline is particularly interesting to me. 1880's Bustle Era Outfit -need to see trim! Very Faded Blue and Red Fantastic Bathing Suit! No, Seriously, 1830's, not 1960's. WOW! 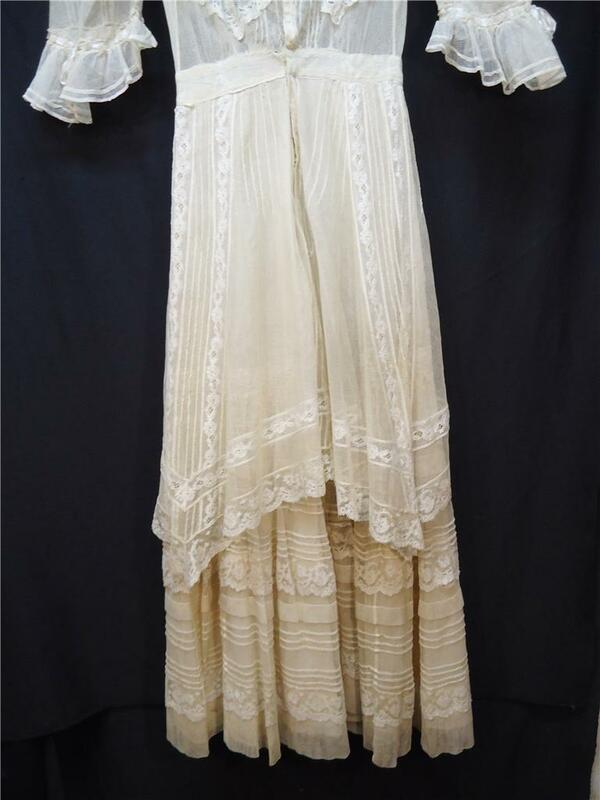 Turn of the Century Dressing Robe. A dress for another one of the Not Snow events!